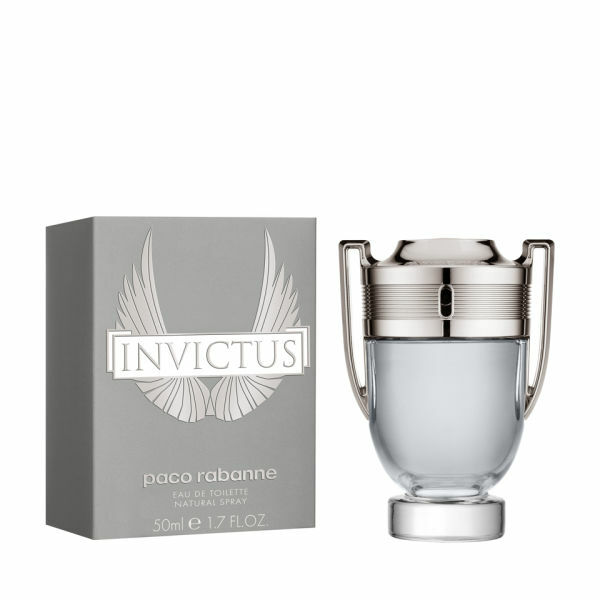 Symbolising power and strength, Paco Rabanne Invictus Eau de Toilette Spray is a masculine fragrance perfect for the modern gentleman. Opening with vibrant top notes of grapefruit, mandarin and marine accords, the scent moves into a heart of bay leaf and jasmine, before the heady base of guaiac wood, oakmoss, patchouli and ambergris creates a sensual and seductive undertone. The fragrance comes presented in a trophy-shaped bottle, representing the scent of victory.